Click here to save up to 50% on Millett Scopes! Choosing the right mix of equipment is not easy. There are many makers around that have multiple models to offer. Researching and reading the specs takes a lot of time and you also have to make sure each part is compatible with another. In order to eliminate these, you should consider getting all parts from one brand. This way, all you need to do is choose the designs. One part of your shooting equipment that makes or breaks your performance is the rifle scope, and it’s not a cheap purchase. It is very important to consider a lot of things so you can get the right model on the first try. Scopes are a large investment, so it’s not practical to keep on buying one until you find a model you can work with. Besides, it’s also not possible to settle with just anything since you need a suitable scope for you to hit your targets with the highest accuracy as possible. There are several classifications for scopes and your choice depends on the purpose or usage of the device. Below are scopes classified into four different categories all from the well-received brand Millett. Click the image for Millett Tactical Scope prices and reviews! Be the leader of the pack as you guide your comrades through low visibility missions and challenging terrains. The Millett TRS precision riflescope models all come with an illuminated Mil-DotBar reticle giving you maximum visibility even in low light. It also helps in holdovers and range finding. 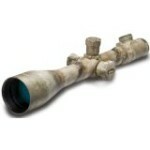 Its bright multi-coated optics allows you to view targets clearly whether in dawn, morning or dusk. All three models for this classification have a bulletproof design and highly-sensitive precision controls all for easy sighting and shooting. All three models namely BK81001, BK81001A and BK81008 have a 50mm objective lens diameter and 4-16x magnification power. An eye relief of 3.5” is also a common point together with the illuminated Mil-DotBar and multi-coated lenses. The only difference for the three is that the Bk81001A has an ATACS finish while the other two are in black matte. Moreover, the BK81008 has a whopping .1 Mil/.36 inches click value at a thousand yards. 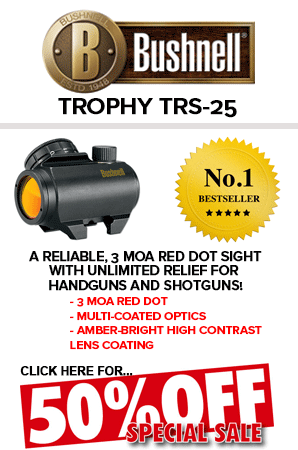 Click the image to get Millett Tactical Series Red Dot Prices and Reviews! A special series of tactical scopes by Millett has three options, the M-Force TRD1X30, M-Pulse TRD2001 and the Speed Point TRD0005. You will need these types if you are looking for speed and precision unlike TRS models that are designed for stability. It can be mounted on an AR flat top, pistol or shotgun. All rifles are made with a waterproof and shockproof design together with precision-click controls for windage elevation and adjustments. Each one comes with eleven settings using a dot intensity control feature. You also get the widest field of vision among its class due to the 30mm Red dot. Moreover, it has a parallax setting giving you a stable and clear image even if you change your target. Among the three, the M-Pulse is the most compact. All come with a 30mm cantilever mount for mounting on AR-15 flat tops. 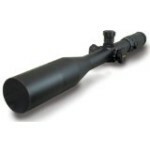 Click the image to get Millett Long Range Scope prices and reviews! For long distance shooting ranges and heavy-duty demanding missions, Millett offers four extended-range LRS tactical scopes. With massive bodies of a one-piece 35mm tube and a 56mm objective, all scopes deliver unparalleled brightness and accuracy for long range chambered weapons for 50 BMG and 338 Lapua and many others. Despite the size, you can still make precision controls with a 140 MOA adjustment set-up. Rings are included in the package as with most Millett scopes. For specifications, magnification power is uniform for the four at 6x to 25x, 3” eye relief and a 35mm tube. Optics technology is on par with Millett’s TCD series plus fully multi-coated optics and glass-etched Mil-Dot Bar. The BK81005A has an ATAC finish while the BK81004, BK81006 and BK81007 come with black matte. The last two have illuminated reticle for better sighting clarity. Click the image for Millett Designated Marksman Scope prices and reviews! From close quarters to mid-range combat, the designated marksman scopes by Millett won’t let you down. With highly advanced rifle technology, you can see any target clearly whether it’s 5 or 500 yards away. The designs are compact and versatile to make combat missions easier to manage. All models come with a specialized reticle that enables smooth and quick transitions from precision shot sighting to rapid target acquisition. The illuminated reticle allows for standard accuracy even in dark areas or cloudy weather. Fully coated optics makes versatile target transfers and eliminates uneven glow or halos. The first magnification level allows you to seize a target even with both eyes open. For magnification, the BK81424 and BK81424A have 1-4x while the BK81624 has 1-6x. The objective lens is 24mm in diameter with a 3.5” eye relief. Models are also with a massive 30mm diameter tube with a donut dot reticle. If you have done shooting games without using a scope, you will find that it is almost impossible to form shot groups. If you mount a scope on top of one, the accuracy of your shots will be multiple times better. Buying a scope is not easy with so many choices laid in front of you, but you can lessen the confusion if you remember the following tips. Establish your purpose and choose the magnification. Many times people buy a scope with the highest magnification power with the belief that it will provide the clearest view among others. But this is not true all the time. If you engage in combat and tactical missions, a model with very little power levels will be faster to set-up. But, such type won’t be any help if you do long-range shooting games that go over 400 yards. Assign a budget. After you find out the minimum qualification, you need to research on the average price for rifles with your specified magnification. From this, determine how much you are willing to pay. This will help in narrowing down your options. Choose a suitable reticle. The basic choice is a duplex style crosshair and lagging behind is the mil-dot reticle. A duplex starts out with thick hair in the edges and slowly becomes finer as they approach the middle. A mil-dot on the other hand is used for precision shooting since it consists of hold over marks under the intersection of the crosshairs. Select a finish of your choice. Many models come in different finishes with the common ones silver, glass, matte and camo. It is up to your own discretion to find one that’s suits your rifle finish and your taste. As added protective feature, there are scopes that are bulletproof. If you want a durable scope that can withstand any kind of environment even the rain, a tight-sealed bulletproof material finish will make a smart choice. Lastly, determine the size of the objective you want. Keep in mind that the larger the size of your objective lens, the more sunlight can enter your eyes. While this will allow you to see in the dark, it will be difficult to use it under the bright sun. Think about the shooting environments you usually encounter and choose a size appropriately. Lastly, look for an eye relief feature. Not all scopes have this so you need to dig deeper if you want to find one that is high performance as well as convenient. The eye relief will allow you to reduce the strain your eyes take when you look at a target for long periods. As long as you have the right mount, you can mix and match rifles and scopes from different makers. In order to do this, find out two things: the first is the diameter of the scope ring and the type of receiver grooves you have in your rifle. It is also important that you find out the height of the mount you’ll need so you can look at the eyepiece and hold the rifle comfortably. Basically, the height of a mount can either be low, medium or high. This height will be the actual measure of how far the scope will be to the top of your rifle. You can decide by checking what height you’re comfortable with by actually trying each on your rifle. 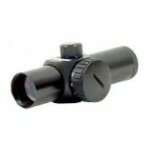 For the ring diameter, a typical scope would have a 25mm tube which most generic mounts are made for. 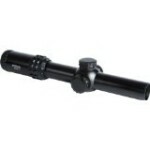 If you have a 30mm tube, you will need a specialized mount or simply get one from the same scope maker. Lastly, the receive grooves refer to the attachment on top of your rifle where the mount will be secured. The standard design consists of two parallel lines running from front to back usually between 9 and 13mm apart. The less common one is the weaver or picatinny. It usually consists of grooves 20 to 23mm apart arranged like horizontal slats on typically a solid block scope base. This type of groove can be found in high performance rifles that usually have strong recoil power. As long as you know these three points, you will be able to correctly choose a mount for your scope.